Home to the 1932 and 1980 Winter Olympics, Whiteface Mountain, in the Lake Placid region, is exactly where you want to be for snowfall if you are in the New York or New Jersey area. Sitting at about a 5 – 6 hour drive from Manhattan, it is a perfect distance for getting away for a weekend breather. 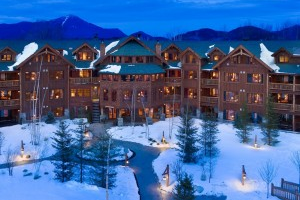 Lake Placid Lodge is much like a cottage, but with the comfort of a luxury hotel. With quiet surroundings and views right onto the lake, just a few minutes spent within its walls will have you ignoring your phone for a couple of hours for the relaxation you truly need (and deserve). You can also check out Golden Arrow Lakeside Resort. Both are about 12 miles via car from the foot of Whiteface Mountain. Enjoy some wholesome comfort food at the Lake Placid Pub and Brewery while enjoying the pub’s own brews on tap. Need a date night? Try The Brown Dog Café and Wine Bar. It has a lovely view over the lake and a great wine list to choose from. 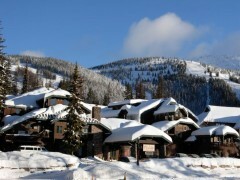 Whitefish, a small city in Flathead County, Montana known for Big Mountain, a premier skiing spot, is famous for its fantastic winter activities. Because of its popularity during the winter season, the city offers free shuttle service from downtown Whitefish to Whitefish Mountain Resort, so getting around isn’t too difficult. In January, the city also hosts the Whitefish Winter Carnival World Ski Joring Championships, another reason to head over to Whitefish for a weekend away. Ideally you’ll want to stay at Kandahar Lodge, with easy accessibility to all winter activities, food and beverage spots and a good night’s sleep after a hard day at play. Great Northern Bar and Grill is a great spot for a beer, a burger and some funky live music. The atmosphere is friendly and home-y, and it is definitely a place to unwind after a day in the snow. Ciao Mambo is another great restaurant, especially for a date night. They’ve got a great little wine list with selections from both Italy and the U.S.
Banff is the town within the Banff National Park of Alberta, so right off the bat, you know it’s breathtakingly gorgeous, given Alberta’s famed beauty. 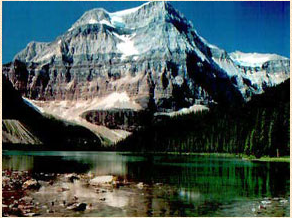 Banff is also home to Lake Louise, a popular spot found in many tourist photos of Canada. The quiet will help ease your mind, and so will a day of snowshoeing or dog sledding. 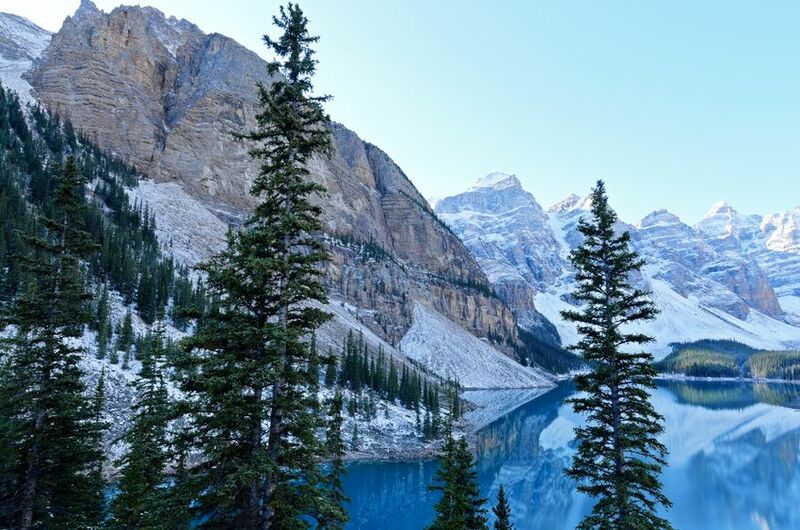 Banff is home to some really beautiful hotels, including Fairmont Banff Springs, but their lodges are what bring that rustic Canadian feel to your trip: check out Banff Park Lodge or Brewster’s Shadow Lake Lodge. For fine dining, The Eden Restaurant has terrific dishes featuring pickerel and elk with recommended wine pairings, and the eatery is set along a beautiful backdrop of the Rockies. The Juniper Bistro is a great spot for any meal, including weekend brunch, and is located inside the Juniper Hotel. Don’t be scared of a little French! Although Montreal is very touristy and locals may be more willing to converse with you in English, Québec City is filled with the real culture, history and the cuisine of Québec that you don’t want to miss. The city is also a great spot for all winter activities, and shopping of course, with its handful of famous shopping districts like Petit Champlain District and Rue Saint-Jean. So don’t be scared – go ahead, pull out your Français just for one weekend! The Le Germain line of hotels is extremely well known for their hospitality, and if looking for a relaxing weekend away, Le Germain Dominion is the perfect spot. 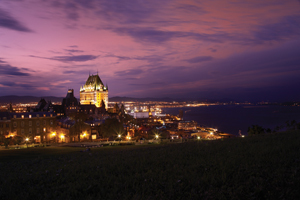 But if you’d like to sleep in un chateau, Fairmont Le Chateau Frontenac will have you waking up like a queen with a breathtaking view of the St. Lawrence River. To eat like a Québecois, the Cochon Dingue is a perfect place to start, especially with their duck confit poutine. And, although it’s not in France, Québec City is home to some pretty fantastic bakeries, and a croissant is still a staple for breakfast. Try Café-Boulangerie Paillard for a butter croissant and café au lait for under $4.00 CDN before hitting the shopping streets. 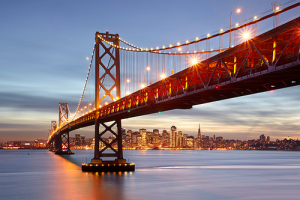 If you’re looking to get away from the snow for the weekend, no matter what season it is, San Francisco is always a dazzling escape. Filled with unique restaurants, activities and sightseeing, you can either jam-pack your day or simply relax while cruising up and down its rolling hills or through the Napa Valley. In the heart of downtown, located atop an old theatre, is the Kensington Park Hotel. It’s peaceful, extremely comfortable and they even provide free sherry from 4pm until 6pm, offering a charming vintage vibe to guests. Sitting at the corner of Hayes and Octavia is Stacks, the best breakfast restaurant. Although there tends to be quite the wait on the weekends, enjoy their complimentary coffee while lingering around the cute shops in the surrounding area. For dinner, head over to Tacolicious, a fantastic Mexican spot with two awesome female chefs! Although there are a few locations, the one on Valencia Street is a favorite.